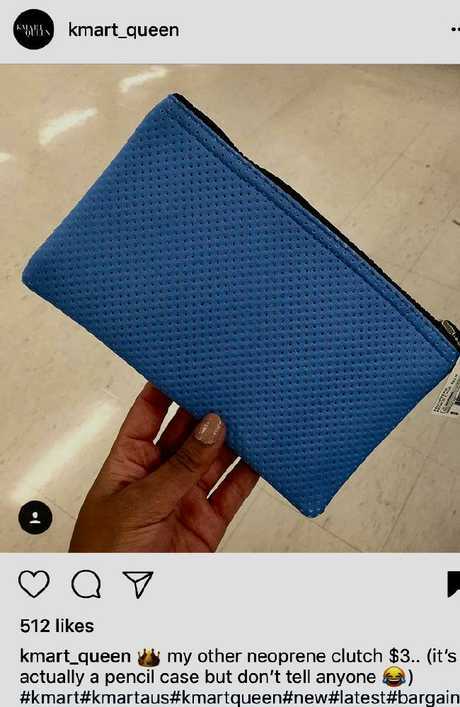 IT'S the neoprene pencil case being used as a clutch by women everywhere - and you'll find it in Kmart's stationary aisle - for $3. Victoria's self-confessed 'Kmart Queen', Annmaree Smith recently posted her cheap and cheerful neoprene find on social media, and was stunned by the response by her fashion-loving fans. "The pencil cases are full price $5 for the eye design which is currently on clearance at my local, and the pink neoprene one is $3 full price - on clearance for $2 at the moment. "The styles are the reason people would use them as a clutch - people kept asking where I find them ... and I say in the stationery section." Annmaree Smith runs Kmart Queen on Instagram and thousands of people follow her bargain style tips. The popular bargain brand has recently released full size neoprene bags in navy and black for $20 - a fraction of the price other brands fetch for similar products that can set you back hundreds of dollars. Smith started a 'Kmart Queen' Instagram page after quickly developing a 'profound love' for all things Kmart as a university student. "I realised my hobby and love of Kmart was shared by many other people, family, friends, work colleagues and strangers on the street that would stop me and ask where an item of clothing was from," she said. "To my astonishment, more than 57,000 people have joined me on my Kmart journey and share a passion. Annmaree’s look is constantly changing, as she can afford it with the cheap prices. "I often walk through Kmart and hear little girls tap their mums saying: 'Mum, is that the girl you follow on Instagram? ', teenagers whispering to their friends saying: 'Look, its Kmart Queen', smiles from adults and random ladies stopping me in other stores telling me how they follow my account and love my content." She said the chain store was not only cheap, but quality was good. "I own Kmart jeans, coats and shoes from years ago that are still going strong - despite the $20 price tag," she said. "I like to always have items that are in fashion, whether it be the latest marble homewares, those killer boots with zips, or that velvet chair. The Kmart Queen site highlights just how cheap some of her purchases are. "By being affordable I am able to frequently update the style in my house to keep up with the latest trends, and have an ever expanding wardrobe - for as the same price as brunch with the girls, I can buy a whole outfit from Kmart. 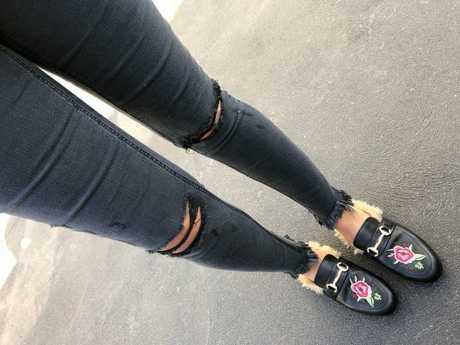 "This has been a game changer, not only is it affordable but it is trendy - it's not seen as cost-savvy, it's seen as on point rocking those $20 ripped jeans." 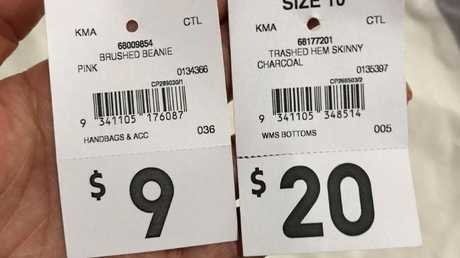 "I used to pay on average between $190-250 on designer jeans before I discovered the comfort, fit and style of Kmart $20 jeans. With new styles released every season, I can afford to purchase new ones and always be on trend, and for the price of one pair of Sass and Bide jeans I can own all three denim colour washes for $60, less than half the price of one pair of designer jeans." On of her favourite recent purchases were these jeans, at a fraction of the cost of similar designer loos. These beanies will keep you hot, hot, hot. 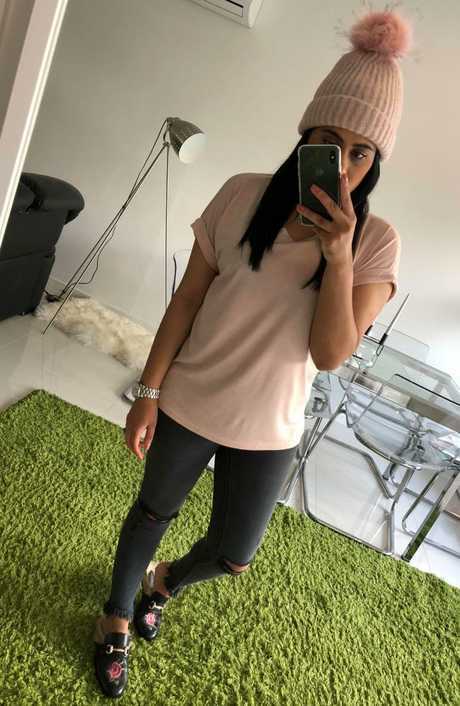 "Beanies are a good staple for winter - it can add that pop of colour to a winter outfit and jazz it up. With price tags starting at $7 for beanies and $9 for pompom beanies - definitely don't walk past the hat section without stopping." "I often rock Kmart pencil cases as a clutch - especially the $3 neoprene pencil case which is so on trend at the moment. Also, their handbags, purses and clutch section has stepped up its game, there are so many options for a night out, that perfect wedding outfit accessory or to wear to school formal." 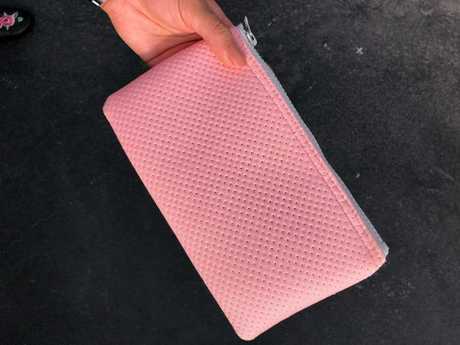 This pencil case comes in a few colours, and thousands of people are following Annmaree’s lead and using it as a clutch. "I used to spend $100 on Lorna Jane tights - now I can buy all the latest sportswear from Kmart and come in under the price I would pay for a single pair of gym tights. I can buy a crop, mesh tee, tights and jacket for under $100 - loving the latest mesh items they have brought out, also the Everlast items are very affordable for a known brand name. They are great for playing sport in, comfortable and most items have moisture wicking fabric, hidden pockets for keys and breathable material, and all for a low price." "I often wear their pjs as clothing items as they are so cute. That drop crotch pair of pyjama pants, a striped pj top - that satin nightie that can pass as a slip dress for a night out. I'm all about versatility, and I can use items from the pj section from bed to bar."